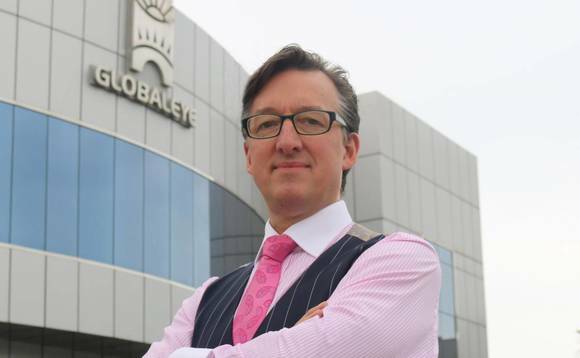 Tim Searle founded Globaleye in 1999 in Dubai, which back then, had yet to take off as a global financial centre and wealth hub. Eighteen years on, both Dubai and Searle’s company are flourishing, although – as Searle tells International Investment’s Helen Burggraf – he is currently in the process of making major changes to the business, which include plans to expand into three major new markets over the course of 2017. These changes, Searle explains, reflect the rapidly-changing world of managing wealth for expatriates, and locals, around the globe. Both Globaleye, the financial advisory brand, and Tim Searle, its pin-striped suit-favouring founder, are among the international wealth management industry’s most familiar names and, in the case of Searle himself, faces. This is only partly a function of the fact that Globaleye is in its eighteenth year, and currently operates in 10 jurisdictions. Among the other reasons Globaleye and its founder are so well known is, those who know him say, Searle’s straightforward, no-nonsense approach to just about everything, and his willingness to change a strategy at any point, if he believes it isn’t working – even if it has been successful in the past. Then too, Searle actually seems to relish a bit of limelight, particularly if a side effect of it is that it calls attention, in a good way, to his life’s work, which is what Globaleye is. Searle says he’s convinced that Aeon represents the best answer yet to the “age-old question” of how best to help one’s clients invest, in keeping with their individual risk profile, in a marketplace that is constantly changing, and in which there aren’t any standard definitions of risk levels. And he’s keen to explain how it works, because he says that “even now, even within the fund management community, I find people don’t fully understand or appreciate what Aeon does, which is very different from anything that anyone has done before”. “What it does is this,” he says, launching into an explanation he is clearly well used to delivering. Searle says he “always knew” the system Globaleye and other advisory firms have used over the years to come up with risk profiles and, subsequently, portfolios based on them, “was broken”, but finding a way to fix it, he insists, was difficult. “In the old days, advisers used to, you know, sort of knowingly nod at the client and say, “so what are you, medium risk, medium risk sound okay?” he says, adopting a high-pitched voice for comic effect. Many firms, including Globaleye, would also have clients fill out questionnaires designed to establish an individual’s risk appetite, based on their age, income and attitudes. “Then these advisers would go off and get some ‘medium’ funds, from asset managers like Schroders, Fidelity or Goldman Sachs, and straightaway the proposition would be broken, because Schroders’ definition of medium risk is different to Fidelity’s as well as to the one used by the adviser. “So the correlation between a client’s actual risk profile and what he’d got in his portfolio were, like, miles apart. Under the Aeon system, Globaleye clients are asked a detailed set of risk-rating questions, from which a risk rating is derived that is then used as the basis for recommending one of five Aeon investment strategies, which Quilter Cheviot, as the mandated manager, has to deliver on. Meanwhile, as changes occur in the market and, for example, the riskiness of being invested in, say, emerging market equities changes, Quilter Cheviot will adjust the strategy’s holdings on a daily basis to bring it back into line with the client’s expressed choice of risk level, “Because Quilter is an investment manager and not a fund manager, they don’t have any specific funds that they’re trying to sell you,” he continues. “What they do is construct a portfolio for the client, using ETFs, iShares, passives, trackers, mutual funds and so on, but at institutional rates, of course, thus keeping the risk levels and charges low. Aeon is also being made available for investors who are on regular premium plans, Searle says, which he says is the scheme’s “biggest USP [unique selling point]” as it eliminates the need for advisers to fund pick, “which they generally get wrong”. Searle says Aeon took almost three years to get launched. “Now we’re in the process of going to each and every one of our clients, and asking them whether they would like to give it a try,” he says. Thus far Globaleye clients have moved around US$50m-plus of their assets into Aeon, according to Searle, out of the firm’s total assets under management of just under US$2bn. There isn’t space here to include everything Searle has to say about Aeon, and risk profiling generally, but one point he keeps coming back to is what he says is an inexorable global shift towards greater transparency and regulation in the delivery of financial advice and sale of financial investment products – of which he says he wholeheartedly approves. “Here at Globaleye, we’re all about embracing regulation, and raising standards,” he insists. Dubai has been later than some other jurisdictions in revamping its insurance and advisory regulations, Searle says, and although he says it’s good that it’s happening at last, he thinks it is becoming increasingly obvious that the sheer number of regulatory entities that exist in the UAE market is problematic, and that a single entity, such as Singapore’s Monetary Authority, might make more sense. While the Monetary Authority of Singapore oversees everything from financial advisers and insurers to securities brokers, fund managers, banks and trust companies, “we’ve got the Insurance Authority, Dubai International Financial Centre, the Dubai Financial Services Authority, the Central Bank, the Dubai Multi-Commodities Centre, the Securities & Commodities Authority, the Dubai Health Authority and the Health Authority of Abu Dhabi,” he says. Searle’s career in financial services came after eight years as a warfare officer in the British Navy, and before that, an early childhood spent in Canada, where he was born and where he lived with his British parents lived until he was around eight years old, when the family returned to the UK. He first came to Dubai in the 1990s, he says, which was before the Dubai International Financial Centre opened its doors in 2004, and just as its economy was evolving away from one based on its ports, oil and oil services. His first job was with OFS, a then well-known expat-focused advisory firm, where he learned the basics of the business before launching the company that would eventually come to be known as Globaleye in 1995. This was also when he managed to get a member of Dubai’s ruling AL Maktoum family as his legally-required Emirati business sponsor, who retains a 51% stake in the business today. With a presence in 10 markets at present, Searle can afford to be choosy about where, if anywhere, Globaleye opens its next outpost. Although he declines to give many details at this point, he admits that “before the end of the second quarter” he’ll reveal plans of Globaleye’s forthcoming entry into both the US and Australian markets. Saudi Arabia, which last year embarked on what its government calls “Saudi Vision 2030”, an effort to reduce the country’s dependence on oil by diversifying its economy, in part by engaging more with the outside world and its multi-national companies, is also in Searle’s sights. Saudi Arabia, on the other hand, doesn’t necessarily fit that mould regulatory wise, but it has other attractions, including lots of expatriates in urgent need of financial advice, due to its having been closed to the financial advice industry for many years, according to Searle. The company has agreed a joint venture with an as-yet-undisclosed insurance broker which is licensed by the Saudi Arabian Monetary Agency, and according to Searle, plans are in the works to launch an operation there, beginning in Jeddah. “As markets go, Saudi dwarfs all the others in the GCC [Gulf Co-operation Council],” Searle says. “It represents a fantastic opportunity; it’s always been regarded as the Gulf’s ‘honeypot’, but we would never go in there if we weren’t set up correctly there, with the right partners and licence. The big picture, though, is what Searle ultimately returns to. “The challenges in the offshore industry will continue apace – changes in regulation, compliance, consumer expectations, fintech, even the geo-political landscape in which we all live,” he says. This story originally appeared in the March 2017 issue of International Investment. To read this story or the rest of that edition as it appeared in the magazine, click here.